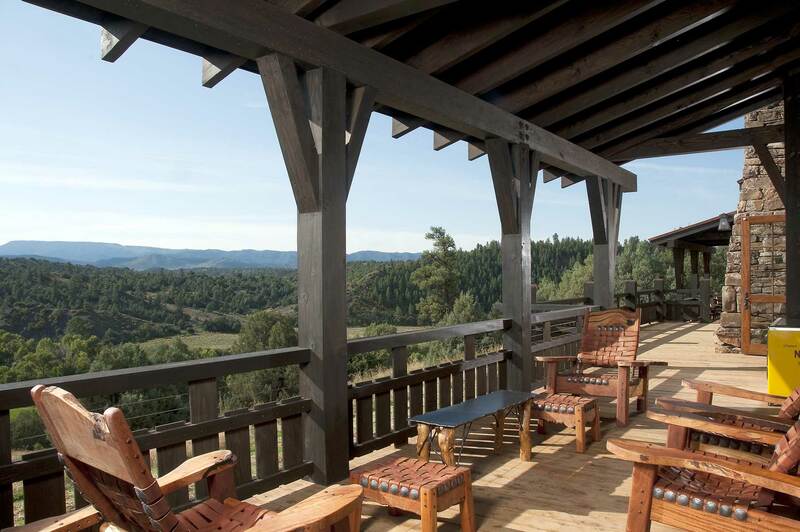 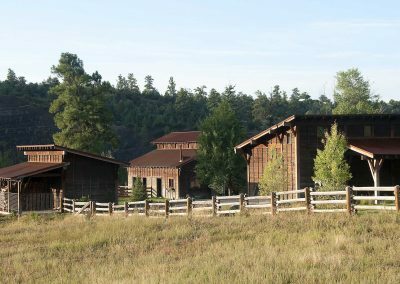 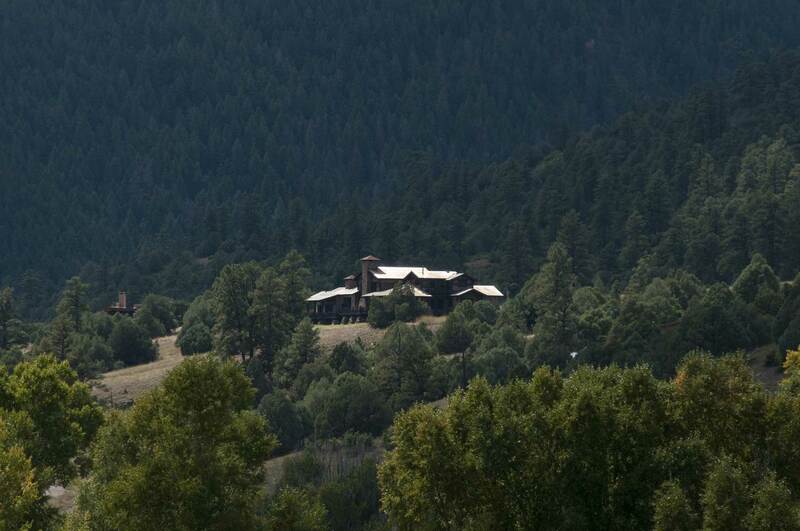 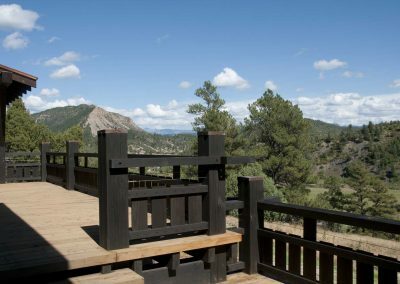 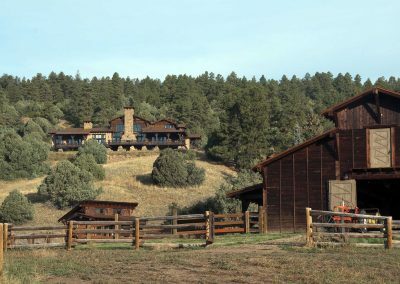 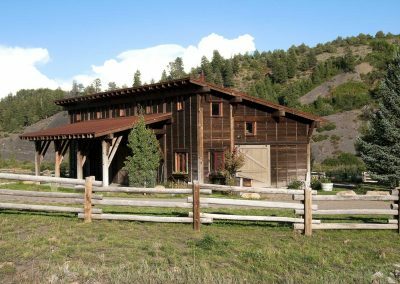 SITE: The project is located on an undeveloped, 560 acre ranch property south of Pagosa Springs, Colorado where the San Juan and Blanco Rivers converge. 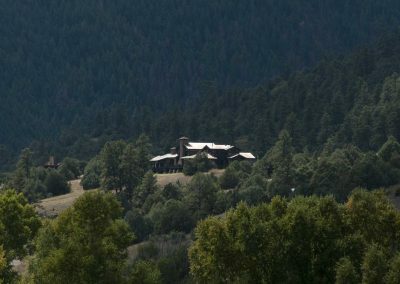 The site contained only a trailer residence and 50 years worth of trash. 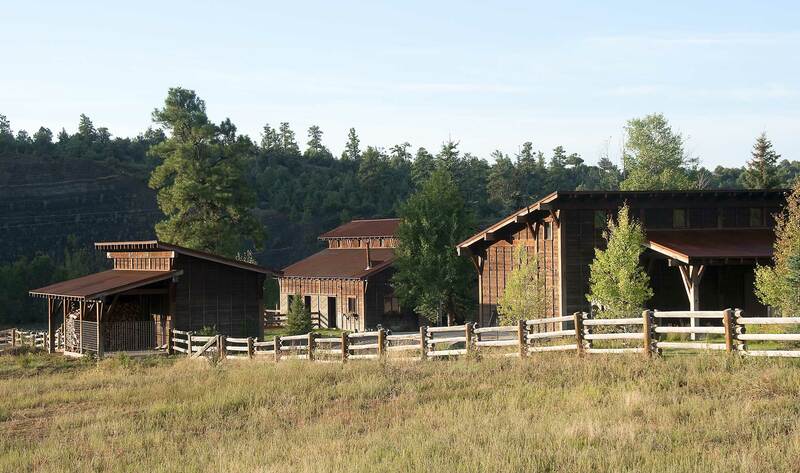 PROGRAM: The client wanted to develop a sustainable ranch to raise cattle and horses, and restore the rivers. 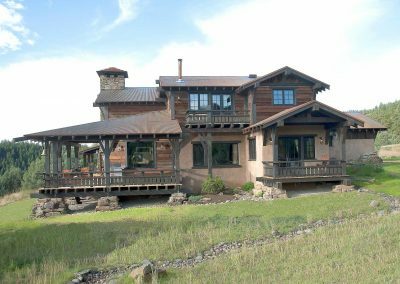 He wanted to build a working ranch center, guest house, main ranch house and a fishing lodge down at the river. 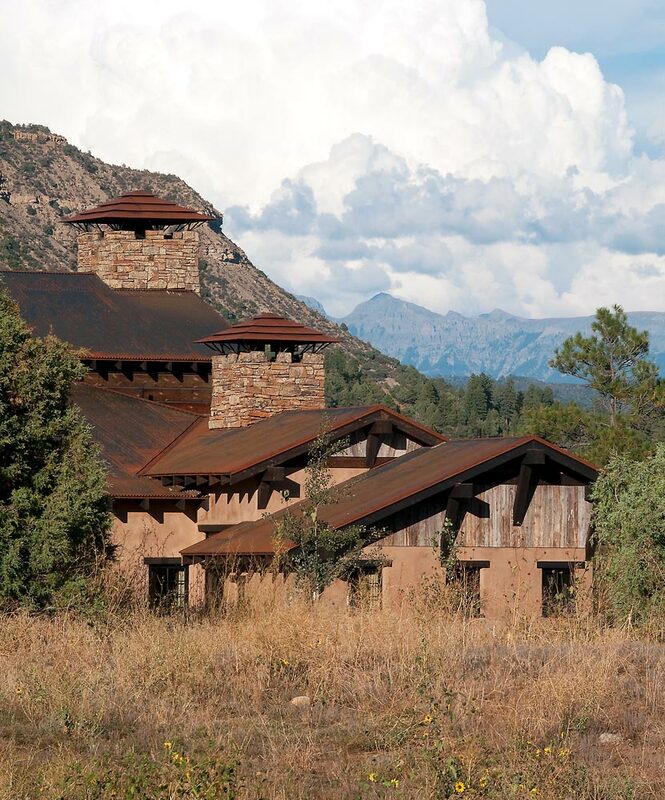 SIGNIFICANCE: This project has influenced the local residents of this valley and started a mind set that architecturally designed projects have value aesthetically and economically. 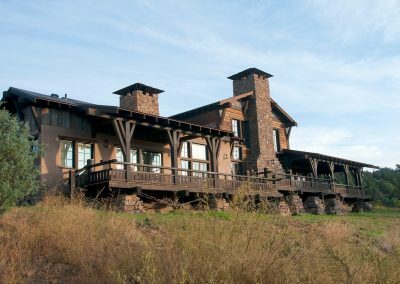 Four new projects in this valley have since been designed by architects instead of local contractors. 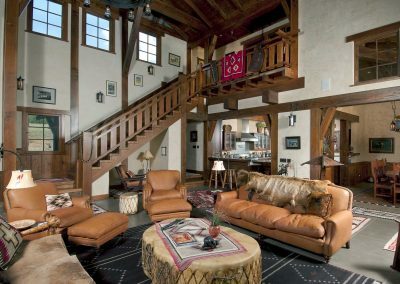 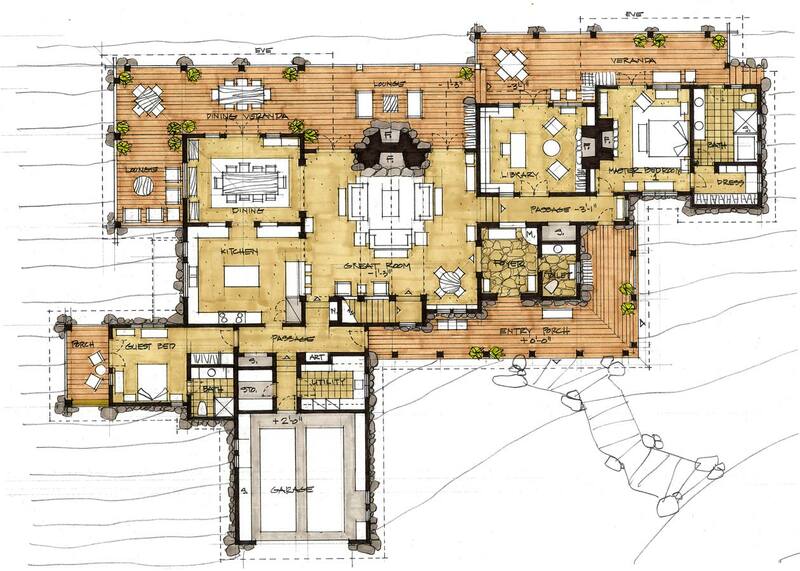 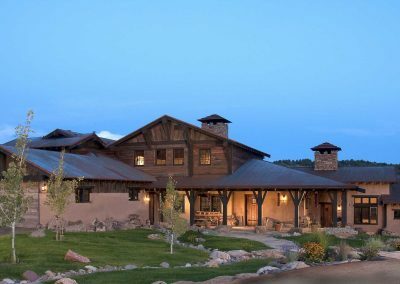 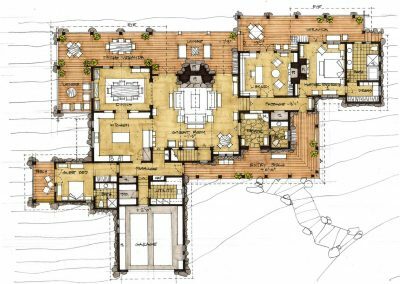 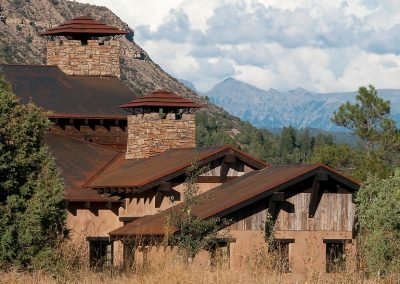 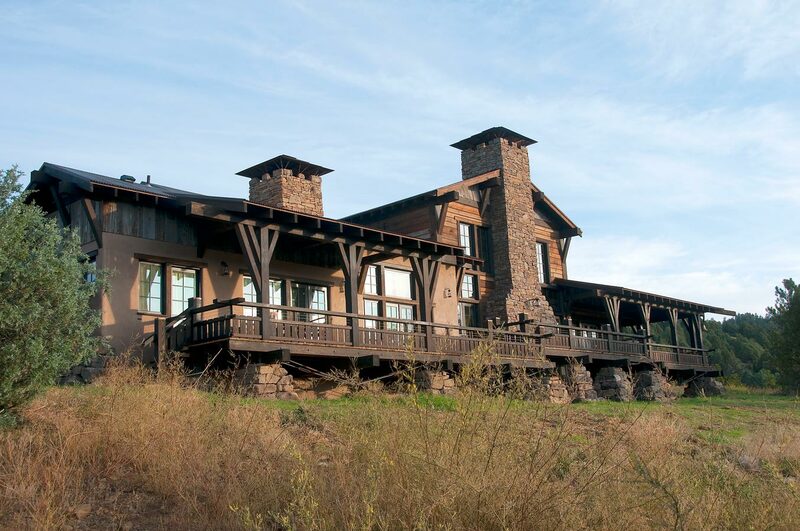 PLANNING & DESIGN OBJECTIVES: The architect’s goal was to design a contextual project playing off the forms of local ranch and barn structures and regional Indian ruin structures. 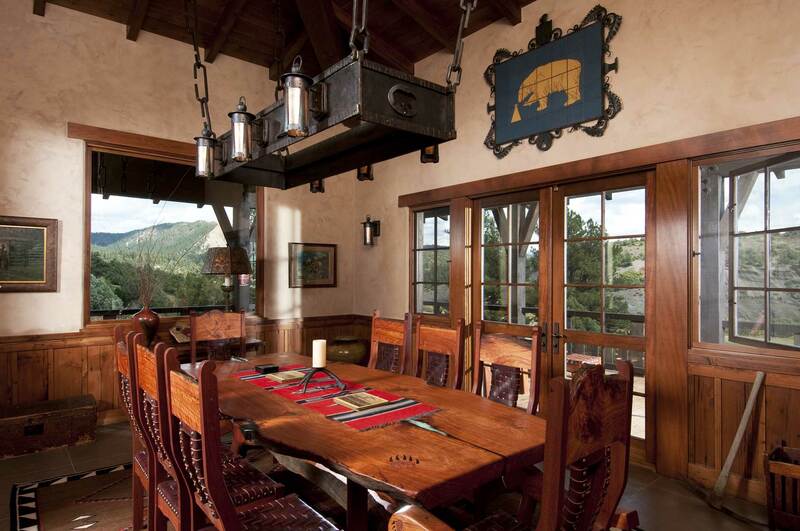 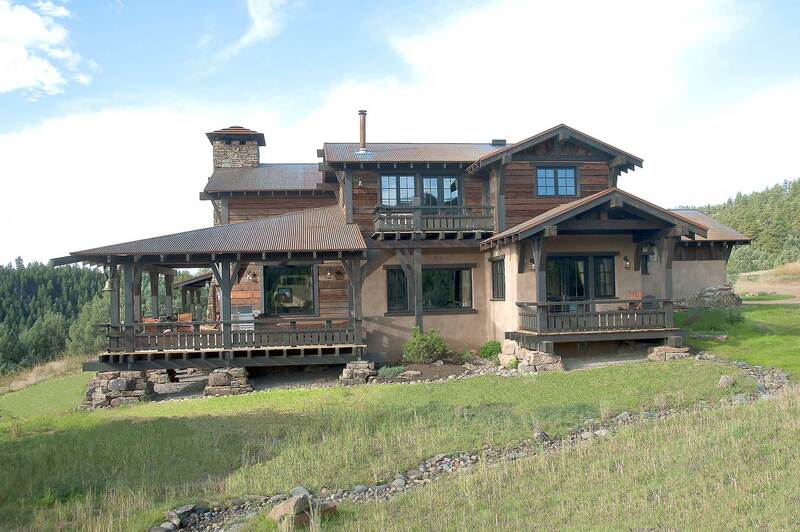 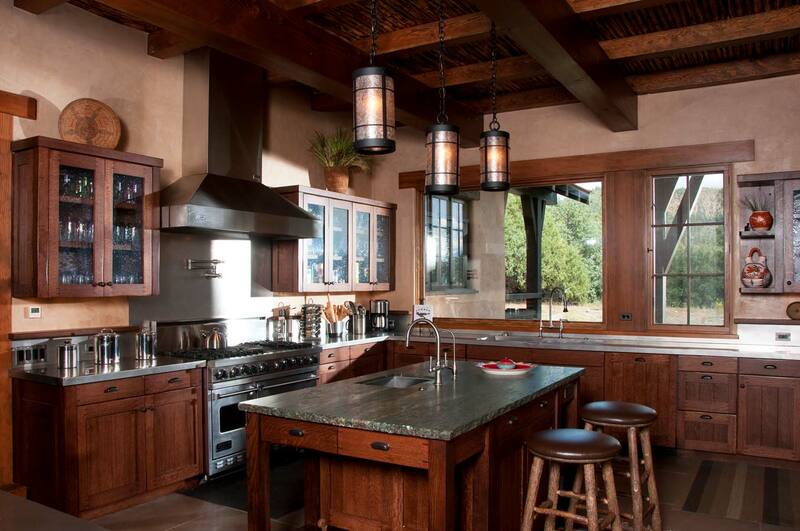 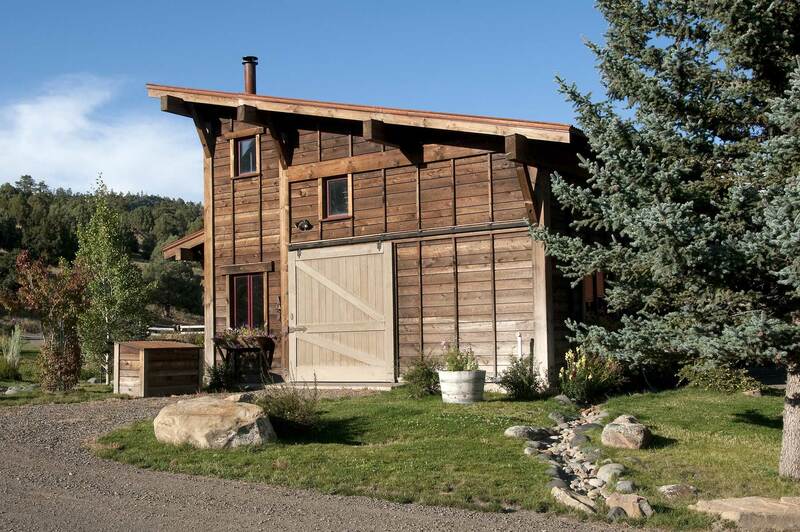 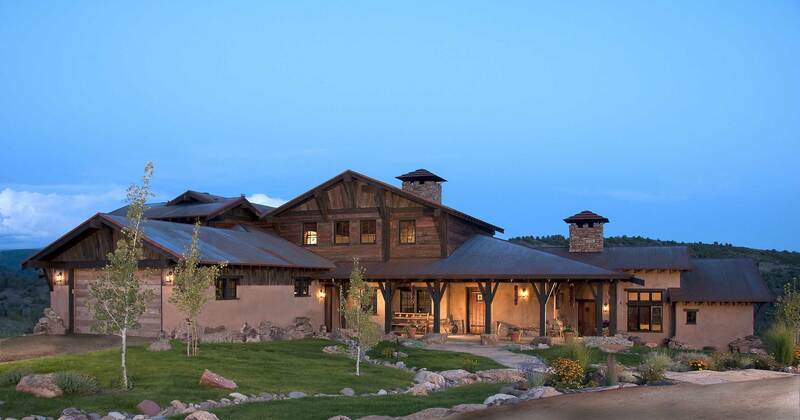 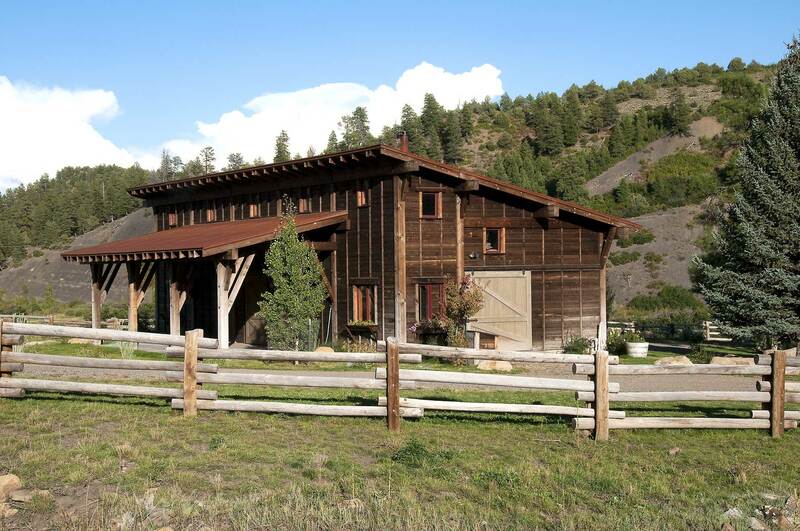 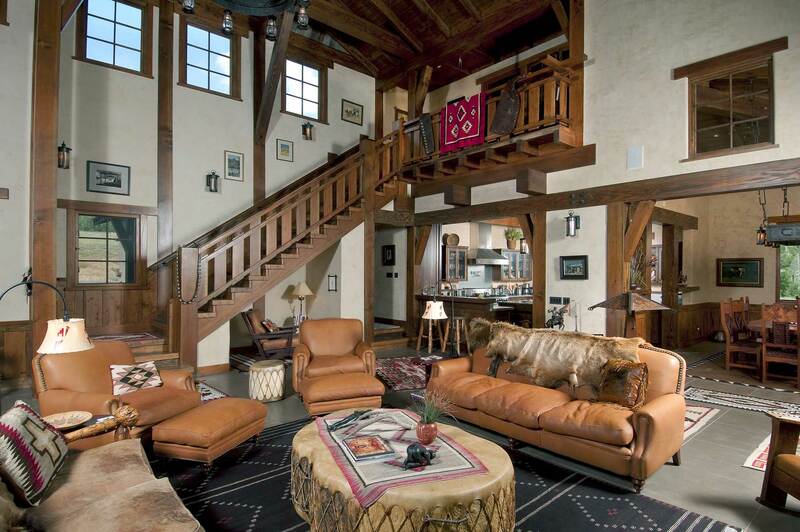 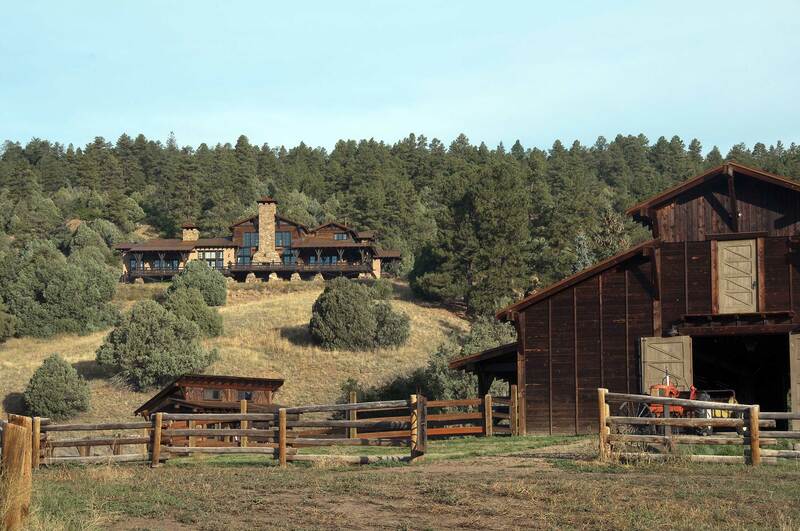 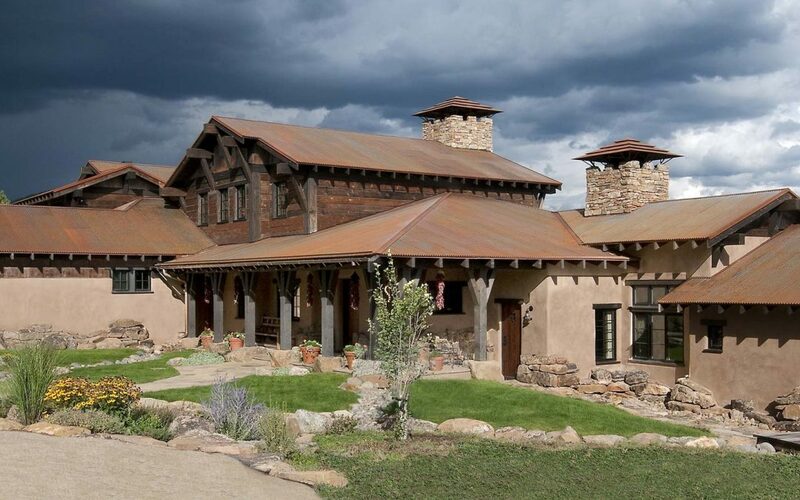 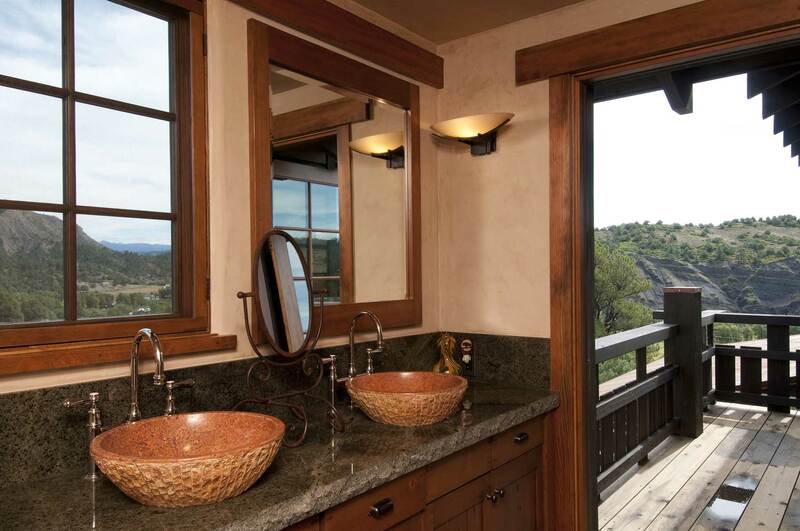 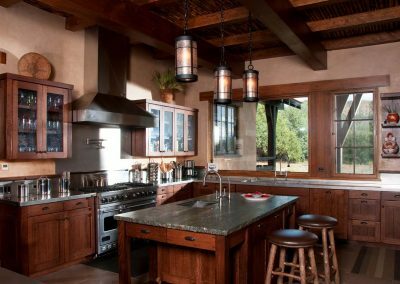 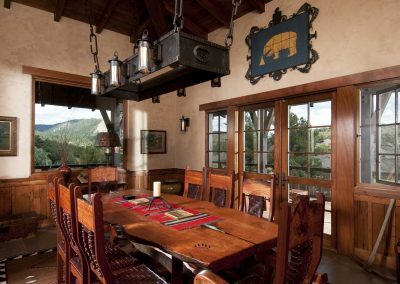 The main ranch house was designed using completely reclaimed local materials. 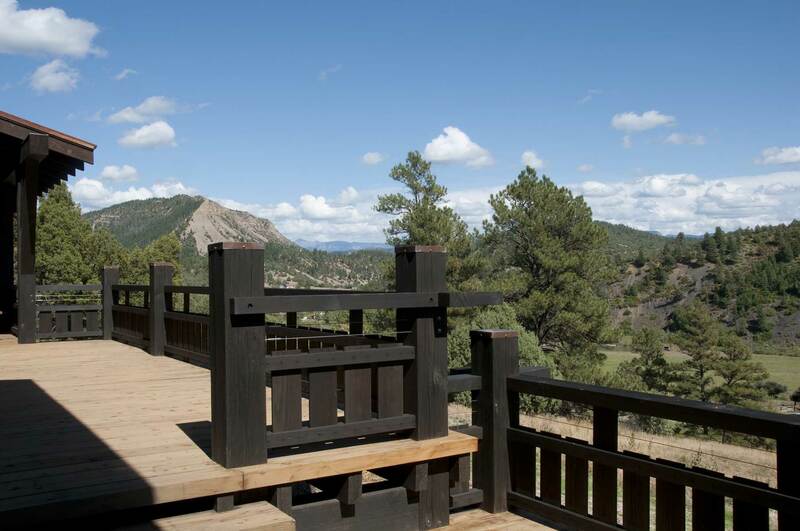 The heavy timber used is black stained re-sawn railway bridge timber that had been abandoned. The wall stone is moss rock found on the property, the walls are earth mud with asphalt emulsion, and the roof is made with old corrugated reclaimed steel. 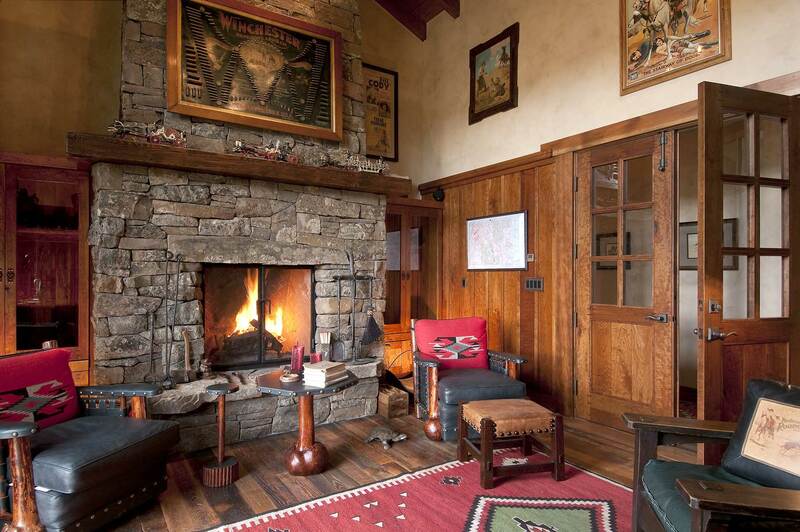 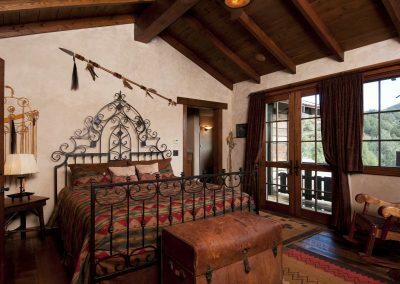 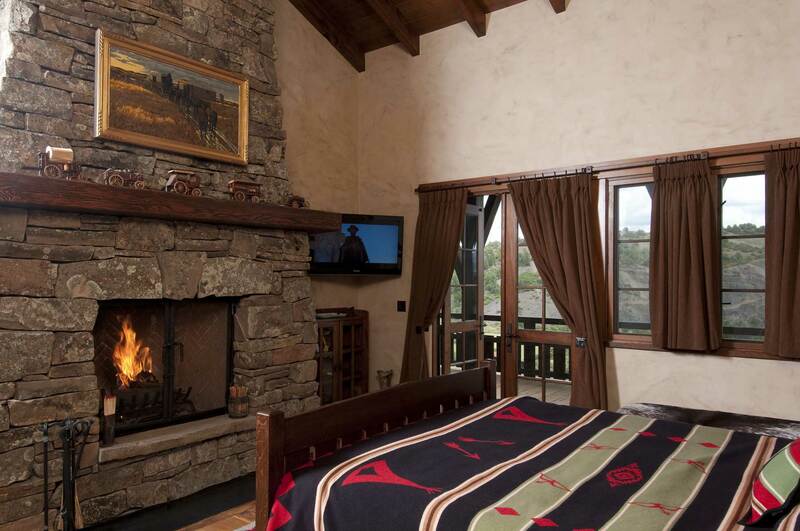 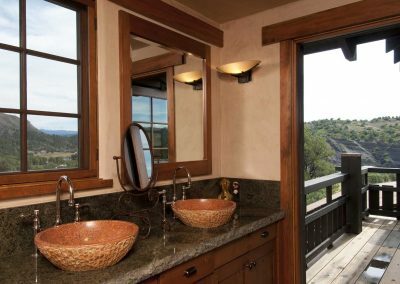 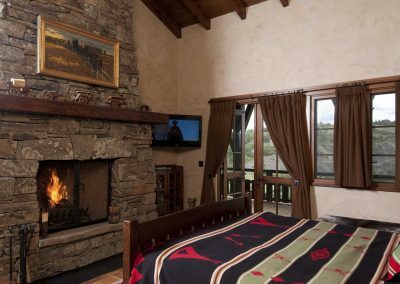 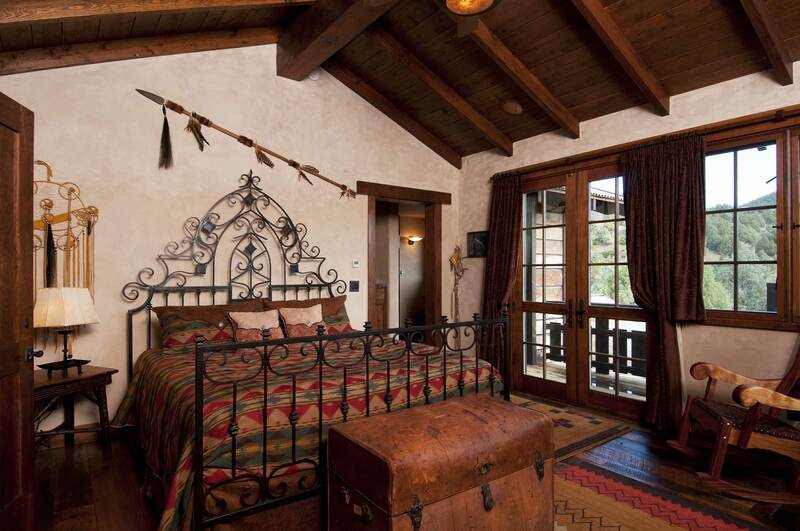 The guest house was designed in a contemporary slab wall and Anasazi influenced style. 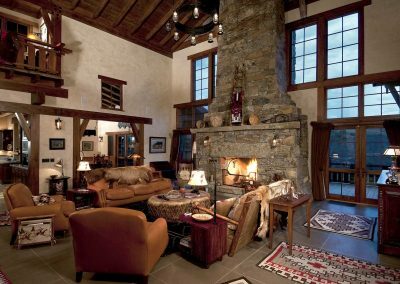 Sliding glass walls that recede into wall pockets, walk-in fireplaces, an infinite tub, and the steel railroad tracks used as rafters create an ambiance for the interior architecture. 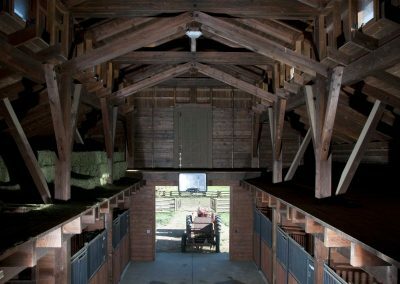 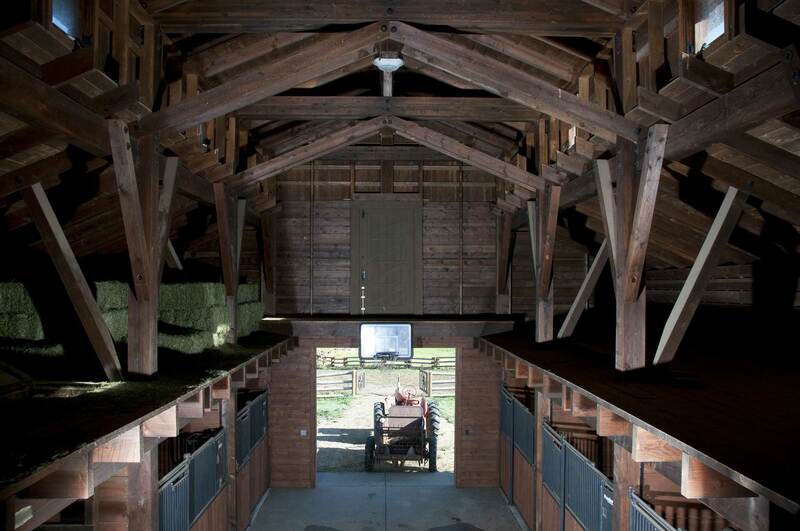 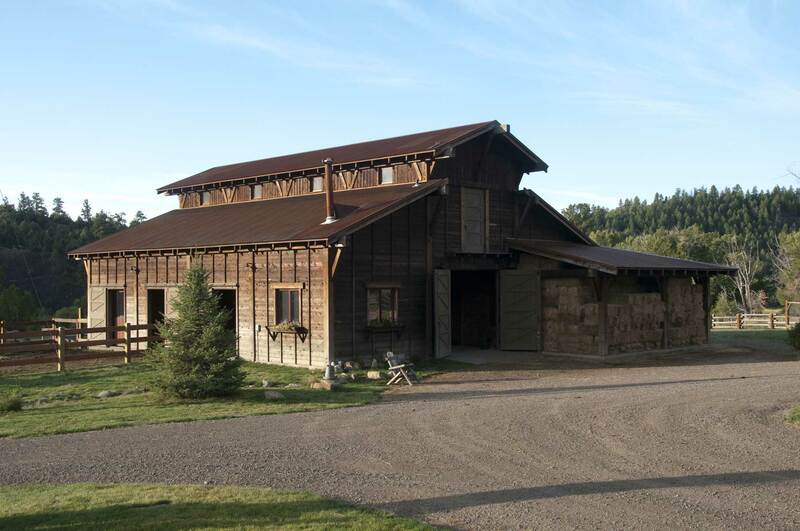 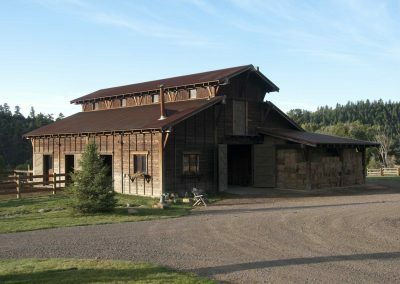 The horse barn, vehicle/ work shed, chicken coop and feeding structure were all constructed of reclaimed and re-sawn local pine and spruce in a heavy timber Post & Beam vernacular.